Is there a worse feeling than waking up on your moving day, with all your boxes just waiting for you movers, to find out that it is pouring rain outside? Sometimes, we are not even aware of the effects the weather can have on us. From the way we feel about it, to actually stopping us in doing our chores for the day. Many a logistics company in Japan will tell you the same – bad weather can greatly affect your moving experience. From the light drizzle to the scorching summer heats – you would not believe how your move can drastically change based on the weather forecast. So, picking your moving day is really important not just because of your busy schedule. 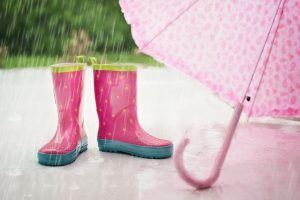 In this article, we give you some of the most important reasons why you should avoid moving in bad weather. 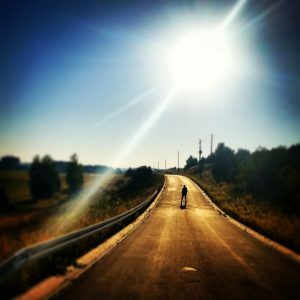 too much sunshine and heat – yes, there is such a thing! winds, fog, and similar conditions. Waking up and finding the gray clouds above your home can turn down your hopeful expectations very quickly. However, this doesn’t always need to mean your moving experience will be ruinous! Usually, moving companies will not consider light rain as a big obstacle. Sure, the droplets can be annoying, but it will not affect sturdy cardboard boxes. Wrapping items in moving blankets will also ensure you are protecting them from water, and you can also get some plastic or waterproof sheets for your move as well. The only thing you might need to worry here is to wear appropriate shoes and clothes because rain might make the terrain slippery. Make sure you have good clothes for a rainy day. Heavy rain might make some difference, though. You should take it seriously when you want to avoid moving in bad weather. The first idea is to check how much rain there will be – because the intensity can subside pretty quickly. However, heavier rain can damage your cardboard boxes, so you might need to wait a bit before proceeding with your move – or you can consider other options. These can include asking your movers to park the truck close to your home, and getting a lot of water-resistant materials to cover your stuff. You can also explore other tips on how to move in the rain online. There is a lot that you can say about moving in the winter. Although it has its own set of perks (a lot of international movers Japan will lower its costs in winter), it can be dangerous as well. 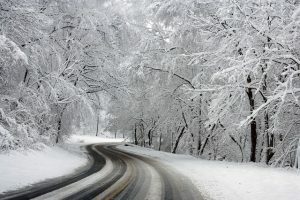 The snow and ice can make roads slippery and lower down the visibility, so there are a couple of things you need to worry about, other than trying to avoid moving in bad weather. Ice can make roads slippery. First, think about the temperature of the truck and your items. There might be some who are sensitive to cold, and you will need to insulate them somehow. Plants, delicate porcelain and wood, as well as electronics, might get damaged if left in the cold for too long. Get some air bubble and blankets to ensure this doesn’t happen. You should also remember to wear warm clothes. Even though you will be moving all the time, you still need to make sure you don’t catch a cold. Now, when you are thinking about perfect weather conditions for the move, you are probably imagining this picture. There’s just enough breeze to keep your cool while carrying those boxes into the truck. However, what might surprise you is that when you want to avoid moving in bad weather, you should also take the sunny days into the equation. There are a couple of reasons for this. The sun can lower your visibility. First, the sun heats everything up – and so does working in the heat. Both you and your movers will need refreshments and water to keep cool and fight the heat exhaustion. Make sure you consult a Japan logistics company if it is okay to make some ice tea for them during the move. The second thing you need to worry about it being blinded by the sun. Wear glasses if you have sensitive eyes, as well as clothes with light colors and breathable fabric. If needs be, you should also use a sunscreen and a hat. Finally, pay attention to the stuff that might be heat sensitive – just like in the cold weather. The final type of whether you should keep in mind when trying to avoid moving in bad weather are the winds, fogs and similar happenstances. These can significantly affect the move, so you might consider using warehouse Japan that is safe for your things until the weather passes. Since these types of conditions can cause horrible damages, it is better to reschedule your move than to risk injury.